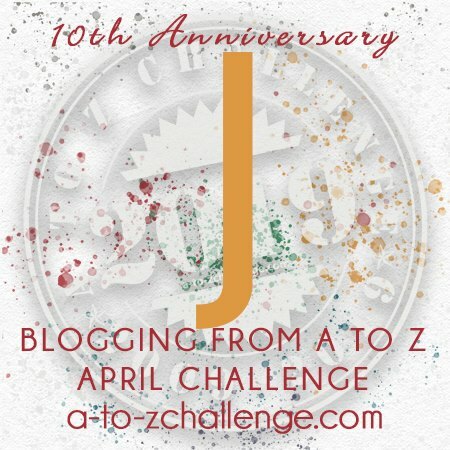 I have a limited amount of time today, so this post might be a lot shorter than my other A to Z Blogging Challenge Posts. Today is J and I struggled to think of something I wanted to write for J. In the end, I came up with Jaffa Cakes. I love jaffa cakes but I haven’t had one for probably about thirteen or fourteen years. Because allergies. I have so many. I’ve spent that time looking for a recipe so I can make them at home and haven’t found one yet. I’ve tried a few, but they haven’t been quite right. For those who have never had the pleasure of a jaffa cake, it’s a thin layer of plain or orange flavoured sponge with a small amount of marmalade or orange jam on top. Finally, it’s covered in a think layer of dark chocolate. It’s the size of an Oreo and they are so more-ish, it’s unreal. They were probably my favourite snack when I was growing up and it kills me that I can’t just pick up a pack and eat them off the shelf any more. I’m not being hyperbolic when I say that. My heart is actually broken. So, I think this weekend might be a good time to try out some recipes that I’ve found online and see if I can make the perfect jaffa cake. A few years ago I made an orange flavoured sponge, sandwiched it together with marmalade and coated it in chocolate frosting. It was pretty good, but it just tasted like a chocolate orange cake. A jaffa cake is something entirely different – more like a cookie, because of the size it is. If anyone has a great recipe, please feel free to pass it on. Or leave a link to a good recipe you’ve found online. It would be much appreciated. Finally, there’s this ongoing debate about whether a jaffa cake is a cake or a biscuit. I have my own thoughts on this topic. Many moons ago, I worked as a VAT accountant, and jaffa cakes were considered a biscuit. Cakes had no VAT on them because they were a baked good – unless they were chocolate cakes. Then the addition of cocoa turned them into a luxury item. If my memory serves me, jaffa cakes did have VAT on them in the early 2000’s because they had a chocolate coating, which made them a biscuit rather than a cake. Tomorrow I’m writing about K for Knee High Boots. My second favourite type of footwear after Dr. Martens. But more on that tomorrow. Over on my author site today I’m writing about J for July, which might not seem like a Nanowrimo related topic but I can assure you it is. You’ll see why if you read it. As always, please feel free to leave your blog URL in the comments so I can visit as many sites as possible during the challenge. If I don’t get around to you during the month of April, I’ll definitely get there after the challenge is over!